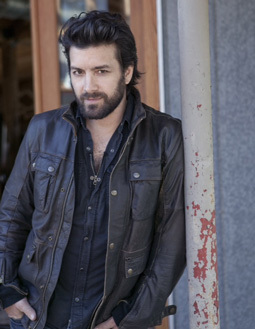 Bob Schneider - vocals, guitar, keyboards, xylophone, tenor guitar, ukelei, banjo, melodica, harmonica. 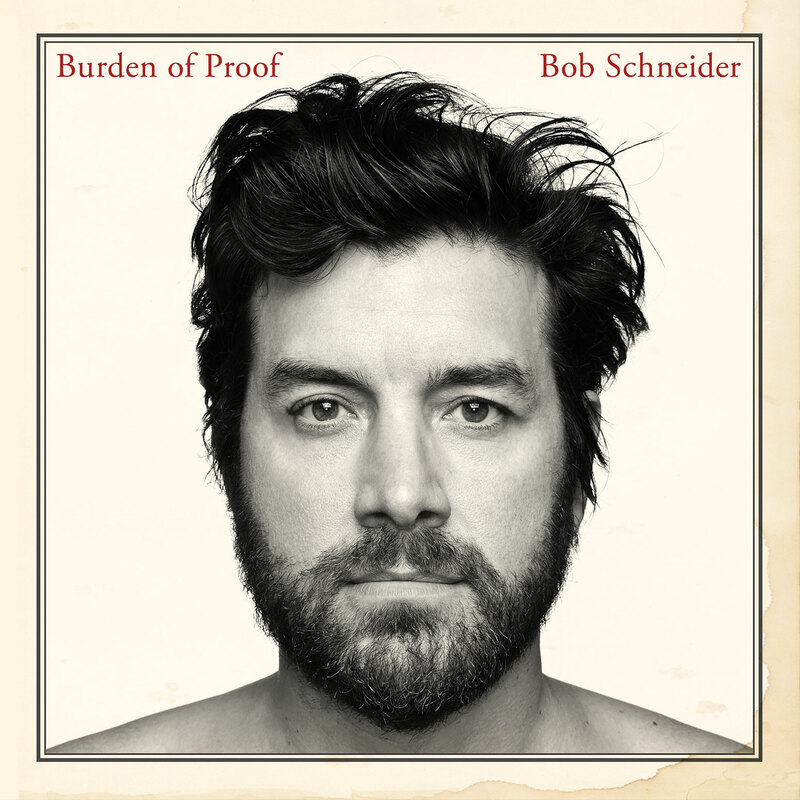 With the release of his latest album Burden of Proof, Bob Schneider breaks new ground. Exploring loss, lust, love, dark desires and skeptical optimism, Schneider has crafted lyrically and musically, his most ambitious and sophisticated album to date. At age ten, Schneider’s father, an opera singer by trade, dressed him in a leisure suit and took him along to gigs where they’d perform jazz standards and other hits from the 1940s-70s. So Bob Schneider blazed into Austin and has been packing houses and winning over audiences ever since, firmly claiming his place as one of the most sought-after entertainers in the live music capital. Schneider sells out venues coast to coast from New York, Chicago Minneapolis and Baltimore to LA, Seattle, Portland and San Francisco. His live shows are playful and raw, while on stage Schneider commands the room. He’s charismatic and friendly, bantering with his bandmates and heckling the audience. As he launches into each song with his whole being, the audience is instantly transported, tumbling through the dark recesses of his imagination. Nearly every track on Burden of Proof features string arrangements composed by Schneider himself. The album also showcases Schneider’s decades-long creative relationship with the Tosca String Quartet. Schneider first paired with the quartet on “Love is Everywhere,” the hidden track off of his award-winning album I’m Good Now. At the time, Schneider wrote a string arrangement for the beautifully devastating “Weed Out the Weak.” That fan favorite has finally found a home on Burden of Proof, positioned amongst sensual charmers, danceable bursts of fire and bounce, and contemplative sojourns. Longtime fans will recognize Schneider’s trademark fusion of eclectic musical styles, innovative compositions, and intricate, emotion-filled lyrics. Schneider croons, drawing listeners in with the promise of romance. Then the energy shifts, the strings swell, and the songs turn seductively tangy, twisted. Veering away from the traditional music video model, Schneider is instead honoring the cinematic feel of Burden of Proof by engaging the talents and artistic vision of twelve film directors. Directorsinclude internationally renowned filmmaker Robert Rodriguez, who shot the video for Schneider’s AAA Radio hit “40 Dogs (Like Romeo and Juliet)” from his 2009 album Lovely Creatures, and award-winning photographer and director Dan Winters, whose photograph and drawings grace Burden of Proof’s cover and liner notes. Schneider’s artistic exploration is not limited to the stage or the studio. He is also a celebrated sculptor, painter, and poet with two published books of poetry and art and another one forthcoming. 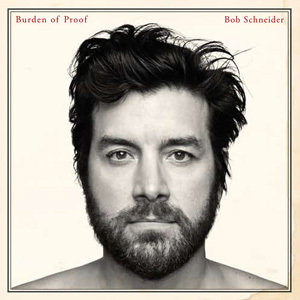 With Burden of Proof, Bob Schneider delivers a much-heralded explosive addition to his already expansive artistic canon, a work of sophisticated craftsmanship and a wild ride to boot.